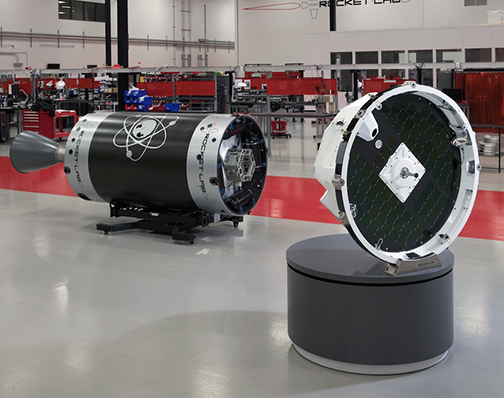 Rocket Lab has announced the next evolution of their mission services — the in-house designed and built Photon™ satellite platform. The company now delivers an integrated spacecraft build and launch service. The end-to-end mission solution enables smallsat customers to focus on delivering their service from orbit and generating revenue, rather than building their own satellite hardware. With an available payload mass of up to 170 kg*, Photon is designed for a range of LEO missions, including technology demonstrations, risk reduction pathfinders, constellations and hosted payloads. Developed as a configurable platform, Photon is ideal for existing and emerging applications such as communications, remote sensing, and Internet of Things (IoT). To the right side in this photo is Rocket Lab's Photon smallsat bus. 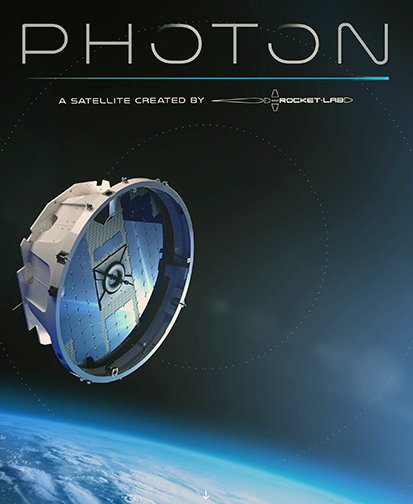 Rocket Lab Founder and Chief Executive Officer Peter Beck said Photon was designed to be an integrated part of the Rocket Lab mission experience from the very inception of the Electron launch vehicle program. He noted that small satellite operators want to focus on providing data or services from space, but building satellite hardware is a significant barrier to achieving this. The time, resources and expertise required to build hardware can draw small satellite operators away from their core purpose, delaying their path to orbit and revenue. As the turn-key solution for complete small satellite missions, Rocket Lab brings space within easy reach, enabling customers to focus on their payload and mission — the company looks after the rest.